Rabbits, Dogs, Cats, Ducklings, and Chicks, Oh My! Bunnies Abound: Acadiana Humane Society currently has 14 rescued bunny rabbits. We are in need of sponsorship of $50.00 per bunny to help get them spayed or neutered and ready to be adopted. 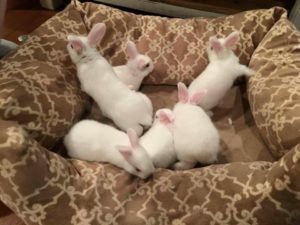 We are also accepting applications for rabbit foster homes, as the surrendering of unwanted Easter rabbits, baby chicks, & ducklings will begin soon. Please email ahspets@gmail.com if you would be interested in fostering rabbits or other small animals. Please see our website for our Paypal donation link or our YouCaring Fundraiser link: www.youcaring.com/acadianahumanesociety-721729 You can also send checks or money orders made out to Acadiana Humane Society to our mailing address at P.O. Drawer C; Sunset, Louisiana 70584-0536. If you would like to sponsor a bunny, or make a donation in any amount, it would really help our no-kill, non-profit animal rescue. Thank you! Barney Update: The vet’s office said that Barney is still having neck pain. They gave him steroids, and have him on NSAIDS for the pain and inflamation. Barney is feeling a little down, so they did not yet start his heartworm treatment. They still plan to recheck his liver values, which were off before his neck pain started, when he is feeling better. If his liver value numbers are normal then they will start heartworm treatment. Donations are still needed for Barney’s vet bills! Barney’s vet bills are already over $900.00! Please, if anyone can sponsor Barney, he really needs your help! 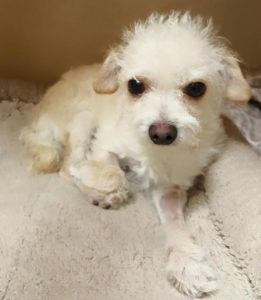 You can donate online, or you can call in a credit or debit card number directly to the vet who is taking care of Barney,Azalea Lakes Veterinary Clinic, by calling 225-755-3838 and asking them to apply your donation to the account of Acadiana Humane Society for Barney. Thank you! No donation is too small or too big! Acadiana Humane Society currently has a lot of adoptable kittens and cats! Our foster homes are maxed out, our quarantine shelter is full of cats & kittens still under vet care, and we have filled the cat adoption centers in both Lafayette Petco locations. 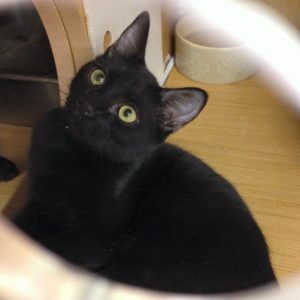 We need adopters for cats and kittens! We need foster homes! We also need sponsors to help us finish caring for the kittens and cats that need to see a vet before they can be available for adoption. If interested in fostering or adopting a cat, kitten, dog, or rabbit, please download our prescreening application from our website. Where it says “which animal are you interested in adopting” put “foster” or “adopt” and the type of animal you are interested in, or the name of the animal you want to adopt. Fosters must be willing to transport animals to one of our veterinarians for appointments, as well as to at least one adoption event per month once they are fully vetted and ready for adoption. 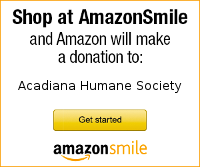 Acadiana Humane Society provides all veterinary care. If we have donated pet food, we also provide that. If you have any questions before fostering or adopting, for fastest response, please email questions to ahspets@gmail.com with the word foster or adoption questions in the subject line. Thank you! To submit your application, please fill it out on your computer answering each questions clearly and completly, save it as a new file, then attach the file to an email to send to us. Or, you may print your application, fill it out clearly so we can read it, then scan or photograph it and email it to us. Putting “application to foster or adopt” in the subject line helps us to find it faster as we get a lot of email. Thank you! 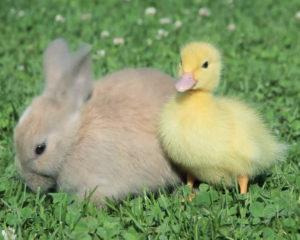 Acadiana Humane Society will take in unwanted bunny rabbits, baby chicks, and ducklings as we can. Please email ahspets@gmail.com with a photo and information on the pet you need us to take. If you are willing to donate any supplies or a cage with the pet, please let us know in the email. We will respond as soon as we can and let you know when we can meet you to get them. We are also currently accepting other small animals that need rehoming such as guinea pigs, ferrets, iguanas, and other small caged pets. If the cage and supplies can be donated with the pets, then we can take them sooner. Donations to accept your pet are not required, but are tax deductable. Thank you!